And when it comes to a healthy nutrition most people are struggling with it. I have to admit, for me it’s the most difficult part as well, just because I love all different kind of foods. And the cruel thing about it is, that the most delicious food is the worst for your body in order to have a ripped one. The common opinion about healthy food is, that it is boring and not very tasty. That you only have to eat the same things every day which basically consists of veggies and chicken. Which is just not true, not at all. 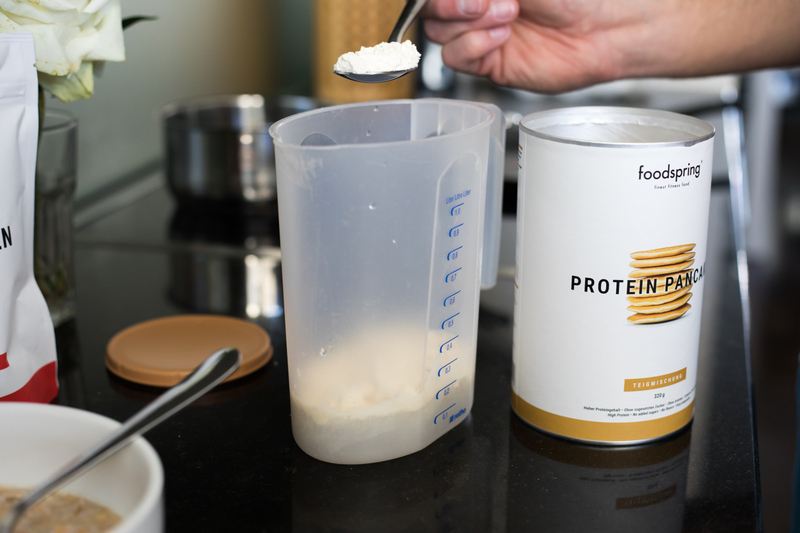 Meanwhile, there is a variety of products which are high in protein, low in carbs or low fat out there on the market. And it’s almost impossible to see through. Which are the good ones or what is the different between products? 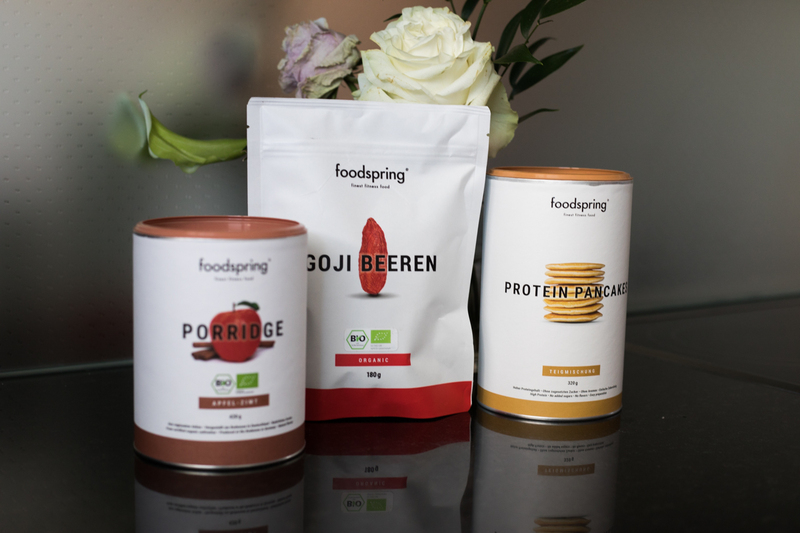 I am happy that I have with foodspring a supplier of fitness nutrition who covers all the product range and has a main focus in delivering high quality and sustainable products. Honestly, I already tried the products before and I loved it. The flavors and the ingredients used are very good and diversified. And with this blog post I want to show you that healthy food can be very delicious too. 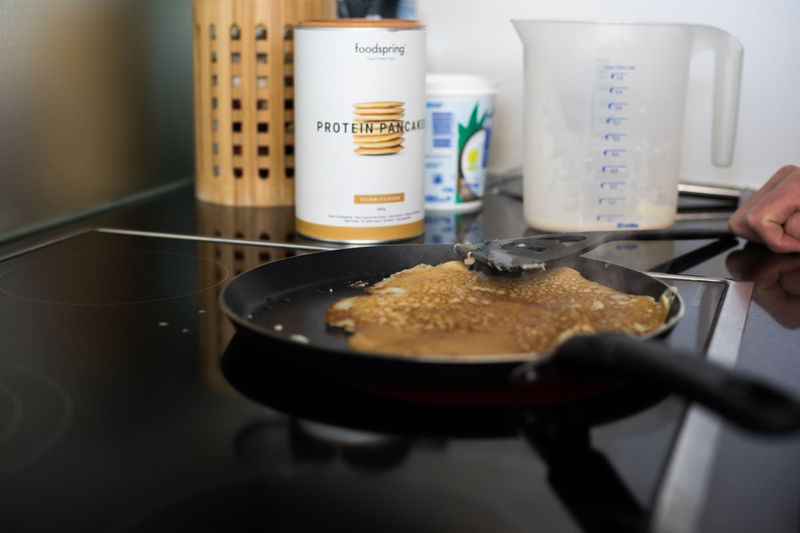 Whenever you are hungry and up for a snack or as a breakfast option – I really can recommend the protein pancakes and/or the porridge (apple/cinnamon). And the best thing about it? It is so easily prepared as you can see in the instruction and pictures below. 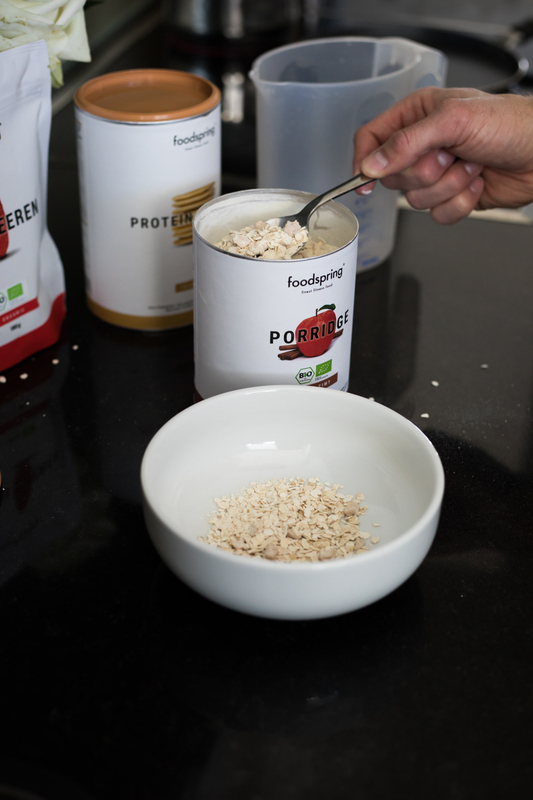 Combine 60 g of the porridge with 120 ml hot water and stir it well. Leave it 3-5 mins and stir from time to time. Decorate it with some berries or nuts and you’re done. 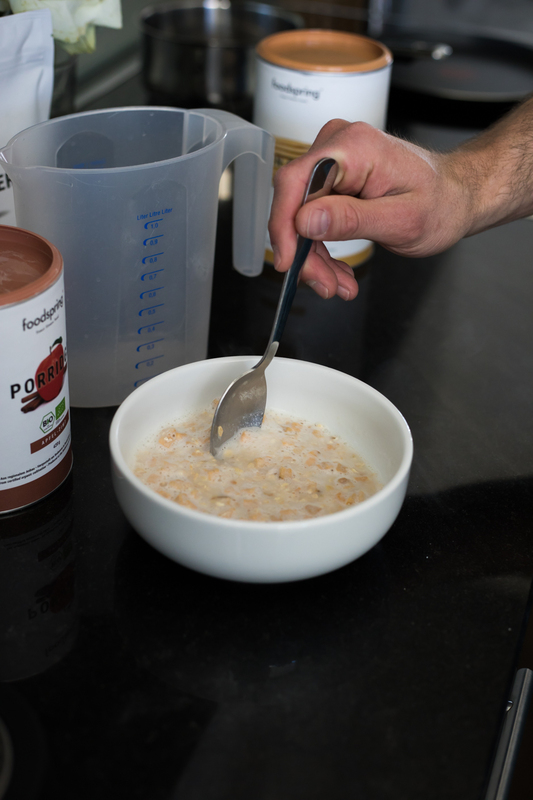 Combine 80 g of dry mixture with 150 ml water or milk and stir until smooth. Put some coconut oil in a hot pan and add the dough in portions. 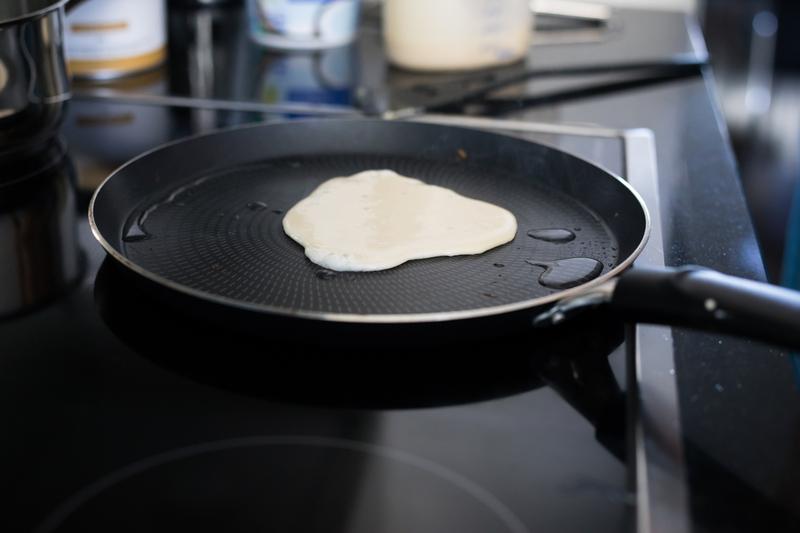 Fry the pancakes from each side until the color is golden brown. Add some maple syrup or honey to decorate it and make it more tasteful. As you can see, eating healthy doesn’t have to be boring or flavorless at all. Just try out some different things and you will come to the taste. And for you guys I have a discount of 15% with using my code “stevFSG”.